Reality television has certainly become one of the biggest niches in entertainment today, as viewers are more interested in the unscripted depiction of people’s lives, especially those who hold a significant place in the socio-economic scene. The Secret Millionaire Show is a prime example of real-life entertainment, which incidentally have become very popular with US viewers. This reality show is one that showcases millionaires who agreed to give away hundreds of thousands of dollars to impoverished communities in order to make people’s lives better. Incidentally, the identities of the Millionaires, are kept secret (people are not aware of their status, except of course the filming crew), so they basically have to go undercover during the filming of the show. One of the things that makes Secret Millionaire quite endearing to its viewers is the fact that the show is all about caring for and advocating the needs of the marginalized and destitute. In addition, it provides a rare perspective coming from those who have a lot of money, as far as the realities of the world is concerned. Secret Millionaire allows rich individuals to understand and experience first hand what it means to live in abject poverty and have very few choices in life. The premise of this reality show includes having the Millionaires live in a specific community without any access to their lavish lifestyle. In fact, they are only given a very limited amount of money to live on during the course of the show, which means having to make do only with the basics. Many of the previous guests found it quite challenging to even make it through filming, mainly because of the level of discomfort they were subjected to. However, most of them professed their new found respect for life as well as their appreciation for the simple joys that usually escape their mind due to the nature of their lavish lifestyle. For the most part, people want to become rich and achieve financial freedom, preferably before their youth escapes them. However, many are not aware of just what it takes to become a millionaire, or even achieve a level of financial security. One of the main reasons why people fail to become millionaires is the fact they have no clear vision to begin with. According to Warren Buffet, billionaire magnate and mentor on the show Secret Millionaires Club, one has to have a vision of what he wants his future to be otherwise there is no hope for success at all. An innovative mind is also required in order to become rich and successful. Almost all known millionaires have chosen to abandon regular employment in favor of striking out on their own. It is always better to work on something that is all your own as opposed to drawing salary for a nine to five job that is never going to bring in enough cash for the life you really want. The hard, cold fact is about wealth is the lack of common acceptance of wealth in our society. Most of our parents generation and their previous generations thought wealthy people were ‘bad’ or stold money to get wealthy. 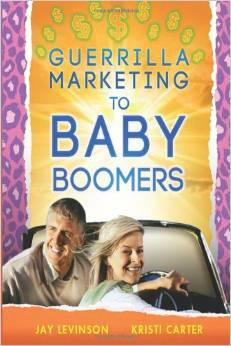 My grandparents certainly implied that to me in my early years. Most religions revere the ‘poor’ and some of the teachings in church services say you must ‘not be selfish’ or ‘wealth’ is essentially evil. It has taken me half a lifetime to get over that garbage can of incorrect thinking. However, the old testiments teaching of King Solomon is opposite of what the current relationship to wealth is in our churches today. King Solomon was wealthier in his day, much more that our Forbes top 10 billionaires. To have a millionaire mindset, simply means you aim to make money in a positive way. Creating services, entertainemnt or products for people is an awesome way to become a millionaire and alot of brave folks have done that. The creator of the ‘Green Waste Management’ recycling company, Mr. Higuara, is one of the wealthest people in the world. He has created for the planet- green recycling and thousands of jobs. He currently has one of the largest yachts in Monaco, France. Money is a end to a means. You need money for food, health, recreaction, travel, etc. There is an abundance of money, but most people complain about the lack of it. This is opposite thinking of the secret millionaire mindset. 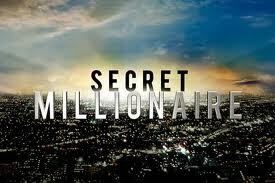 People love intrige and that is another reason why the secret millionaire show is so popular. I do believe most people wish that they were independently wealthy, but are afraide to dare the thought to enter their mind. Most people feel that it is too risky to entertain that idea, let alone try a new business idea. 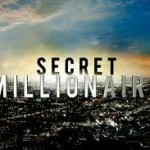 So, alot of folks view shows like the Secret Millionaire because it provides a platform to live through their own secret fantasy of being a millionaire. The Secret Millionaire Show has certainly opened the eyes of so many people, especially those who belong to the middle class. It shows that being a millionaire definitely has its perks and that it can allow you to help make other people’s lives better.